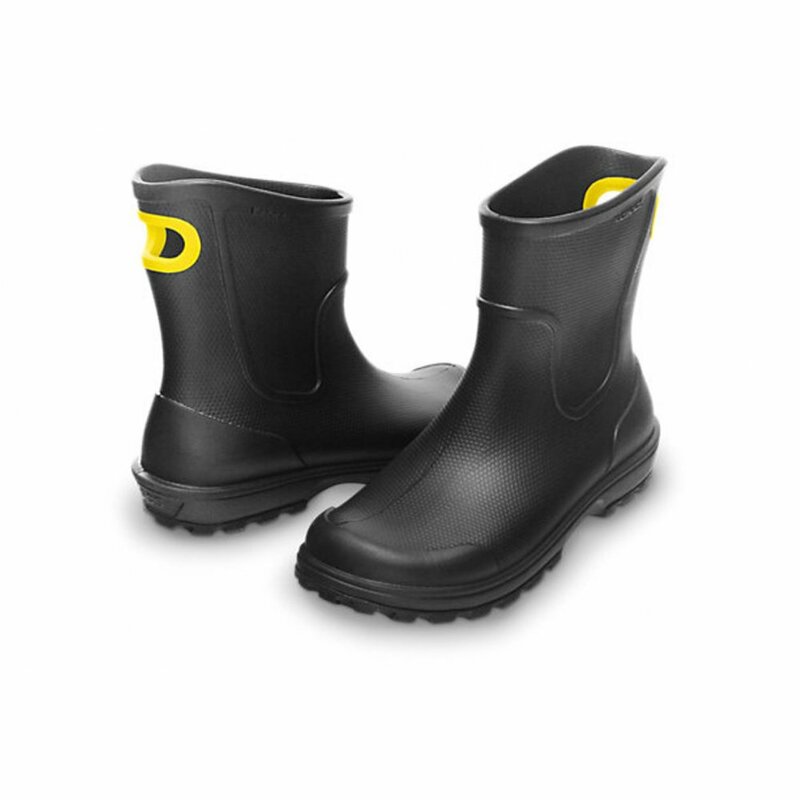 These pull-on rain boots are light weight, so can be worn all day long. Waterproof construction. 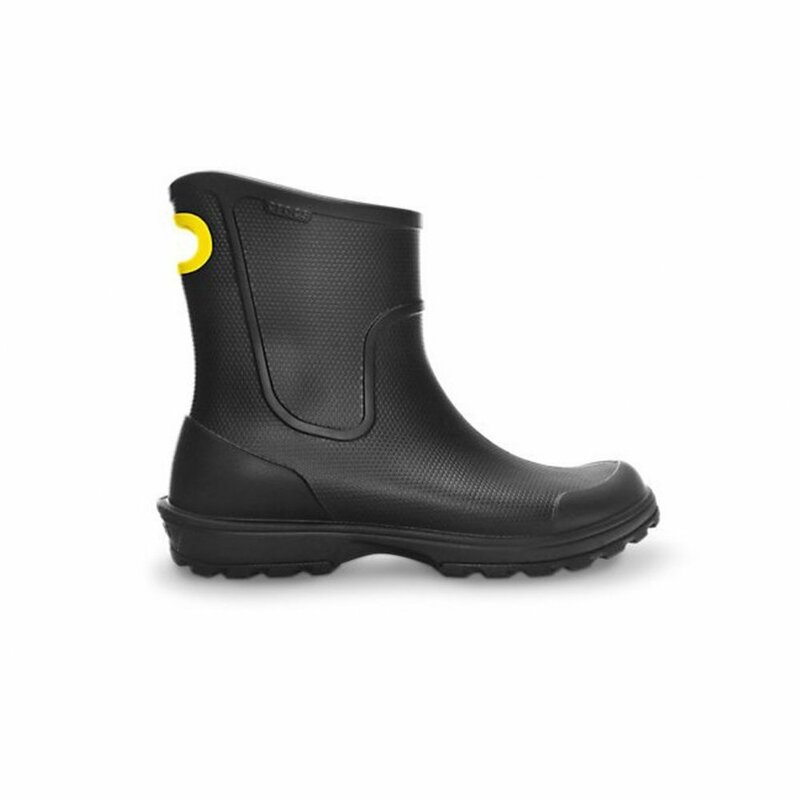 Fully-molded Croslite material boot is light and comfortable. Easy to pull on and off. 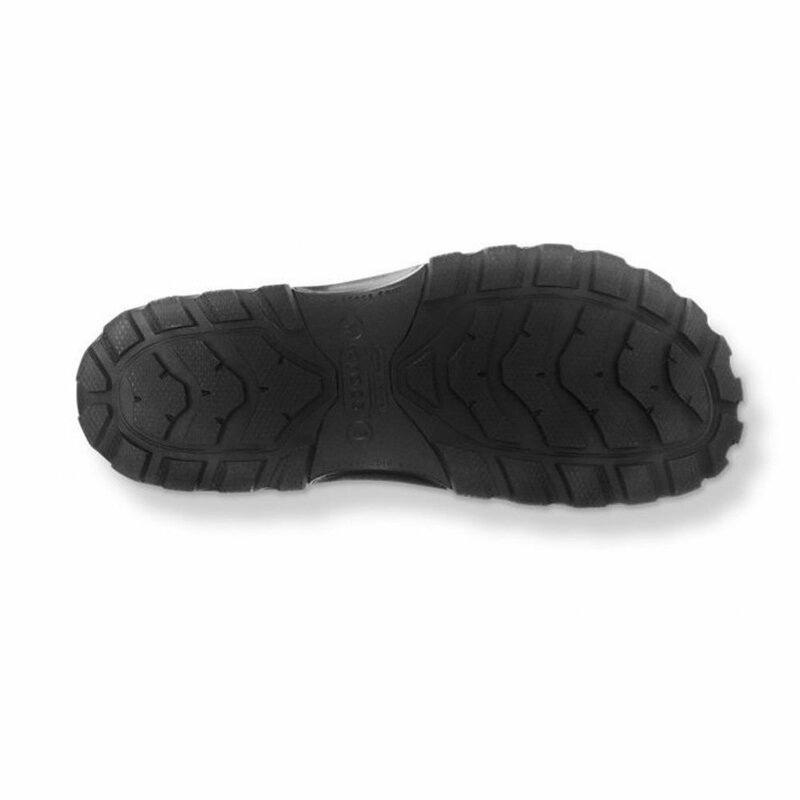 Rugged outsole.